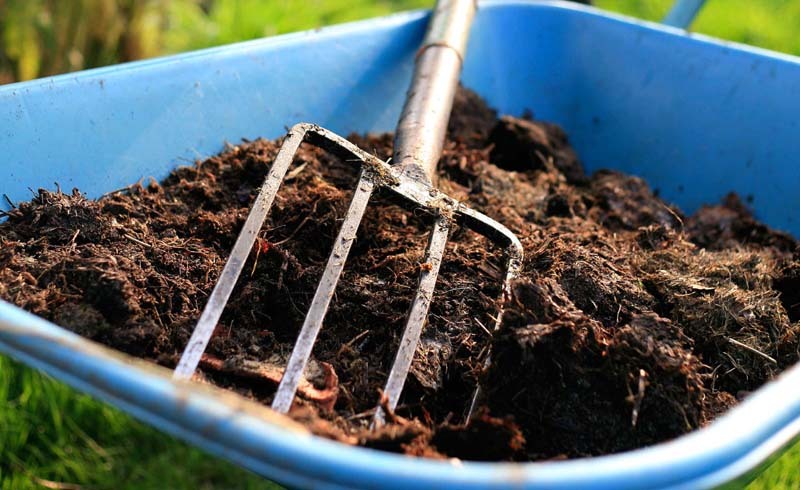 Composting reduces your home’s waste, helps the environment, and refreshes your flower beds. Get started with these FAQs. The average American household throws away about 25 percent of its food. But if we composted that stuff, we would lighten landfill loads while creating nourishment for gardens and lawns. Cary Oshins, a soil scientist and the director of education for the United States Composting Council, explains the easy, earth-friendly practice. Get a bottomless plastic, metal, or wooden container that holds about 80 gallons, or 10 cubic feet. Place it on the ground in a shady area of your yard. On the kitchen counter, set a small lidded container for catching compostables as you cook. (For more information, see Composting 101). 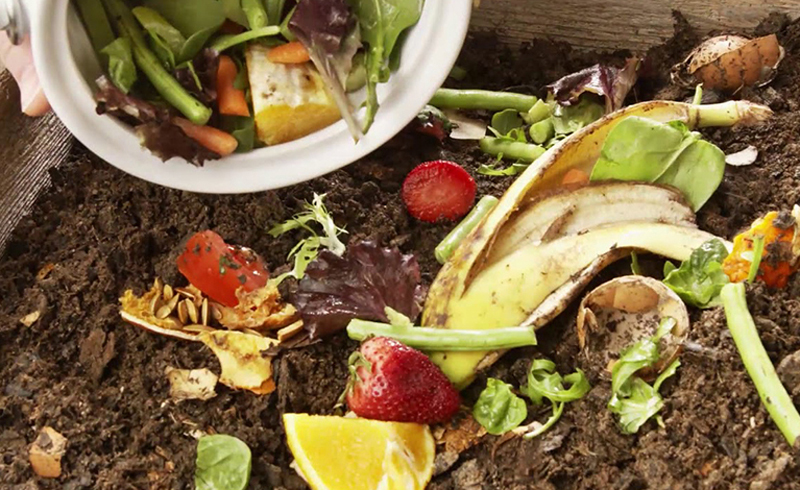 What foods can go in the compost bin? Fruit peels, coffee grounds (and paper filters), eggshells, leftover vegetables. Don’t compost meat, cheese, or fish, because they attract animals. And skip cooking oil, which draws insects. Watch the moisture level. The pile should be damp, like a wrung-out sponge—not soaking, like a swamp, or dry enough to blow around. If it’s too dry, spritz it with the hose. Too wet? Add shredded newspaper or wood chips. How can you tell when a pile has decomposed? It usually takes four to six months for compost to turn into dark brown or black soil with a nice, earthy aroma. Once most of your pile fits this profile, take away the bin and let the finished compost continue to break down in your yard for a few weeks. Put the bin in a new spot to start a fresh pile. Kick it off by scooping in anything from the old pile that’s not quite decomposed. What if you don’t have any outdoor space? You can still recycle food scraps if you have somewhere to unload them weekly. Check with your local department of public works or a farmers’ market to see if there’s a drop-off site. In between hauls, stash scraps in the freezer in a sealed container lined with newspaper. Finally, how can you use compost? Think of it as food for dirt. Spread it over your lawn to nourish the grass, or mix it into garden soil.